Author: Herren, Greg Set In . . . Description: AVAILABLE AGAIN! In 2003, Scotty Bradley was introduced to the world, and now, for the first time in years, his debut novel is available again! 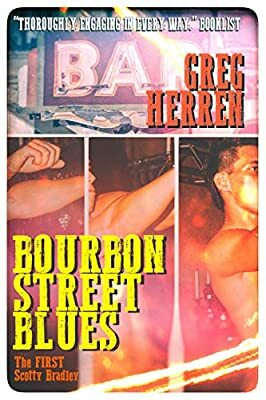 From the drug-fueled dance floors of New Orleans's hottest bars, to the body-worship of its packed gyms and the slow, hungry crawl through streets where danger lurks behind every beautiful smile, "Bourbon Street blues" takes readers on a dizzying tour of gay life in the French Quarter and introduces an unlikely investigator whose ironic, lusty, tell-it-like-it-is take on things is as cool as the city he loves. During New Orleans' biggest gay celebration, personal trainer and exotic dancer Scotty finds his life taking a deadly turn when one of his best clients is murdered, an old friend returns with a desperate request, and a mysterious FBI agent shadows his every move.